Brightly flavored German variety with pretty, flavorful leaves. We love this heirloom, not just for its bright flavor, but for the name, which translates as "speckled like a trout's back". This aptly describes the look of the brilliant, tasty green leaves speckled with burgundy-red spots from base to tip. You can pick the 8-12" romaine-type heads at any stage. 55-65 days. Lettuce, Forellenschluss is rated 5.0 out of 5 by 2. Rated 5 out of 5 by Ridgeman from Doesn't Burn Excellent lettuce. 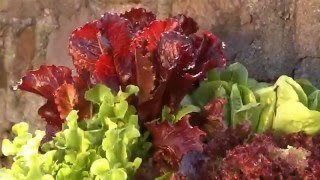 Easy to grow, productive, tasty, and doesn't burn in the California sun. What's not to like? 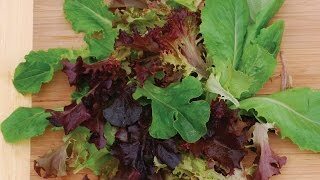 Rated 5 out of 5 by Osmiumtet from Awesome lettuce I planted it in spring and am still eating from it in July. Tasty, easy to grow and pretty variety. I grew it in self watering containers and it thrived.